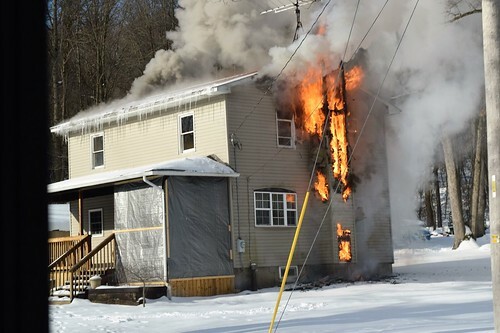 Cochranton Firemen responded at 9am this morning to a house fire on Snake Road. Chief 4 arrived and reported a working fire on the first and second floors. The 3 man engine crew made an aggressive interior attack on the fire on the first floor and found heavy fire conditions on the second floor. Crews kept the fire to the areas of origin, preventing further damage to other rooms in the house. Assisting Coch. were Sandy Lake, Utica, Sheaklyville, West Mead 1, Vernon Central and West Mead 2. The owners were home at the time of the fire and no injuries were reported. Cochranton responded with 2 Engines and the Squad.